When Chairman Yu Liang of Vanke, the world’s largest residential real estate development company, commented on a bleak outlook, it caused a ruckus on China’s social media platforms. In his speech last month, Yu said that Vanke’s main goal was “survival” for its next three-year strategic plan. And yet, In the first half of 2018, Vanke’s revenues increased by 51.8 percent, with a 24.94 percent growth in net profits, on a year-on-year basis, Vanke’s financial report stated. Vanke, which was founded in 1984 by Wang Shi, had a total revenue in 2017 of 242.9 billion yuan, making them 28 billion yuan in profits. In addition to having a dominant presence in China, Vanke also has offices in New York, San Francisco, Singapore, and Hong Kong.Vanke has powered through the fickle business to become the first Chinese real-estate company to reach an annual revenue of over 100 billion yuan. Vanke is a real estate company without parallel anywhere in the world: it has built more apartments than any other company. Wang Shi, the founder, is now the world’s largest real estate developer. He has been instrumental in providing millions of Chinese with the chance of owning their own apartment. Wang Shi’s apartments are built enmasse for China’s burgeoning middle class. Today, Vanke have an operating income and net profits growing annually at between 30-35 percent and 16,000 employees in 28 locations. Perhaps one of the driving forces behind Vanke’s rise has been efficiency and speed. Wang Shi focused on projects with 25% returns and drops projects with 40% returns, a business model he calls “5-9-8-6.” Start construction within five months of land purchase, start sales in the ninth month, then achieve 80% of the target in the first month; sell out 60% once the project has opened up for sales. This has allowed Vanke to access cash flow faster, which translates as more investment for more development projects. However, in the current global economic climate, China’s property market has mirrored a downward trend in China’s real estate. For Vanke to use the phrase “to survive” has led to concerns over a further cooling-down of the domestic housing market, and Vanke Chairman said that a turning point in the real estate market had really arrived. 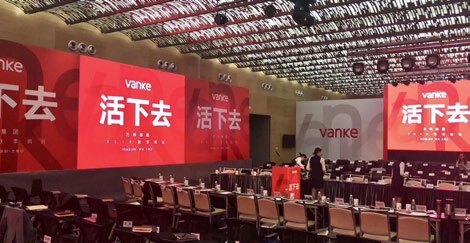 Vanke employees were also urged to sell as much as possible in the next few months, as more sales are necessary to manage the company’s cash flow. He said that the company will invest more strategically going forward. China is facing serious uncertainties around a real estate market that has skyrocketed in prices since entering the WTO. The value of share prices on China’s stock market is at its lowest level in nearly four years. And, industrial growth has slowed each month, during the past four months. The Vanke Group announced that it will cut property prices by half for its new townhouses in Xiamen. The price for Vanke-developed townhouses there has been cut to 2.78 million yuan from the original price of 5 million yuan. While price cuts to stimulate sales are not new sales tactic per se, this particular real estate price slash has created widespread brouhaha amid a downsizing of the real-estate industry in China, and a re-alignment of China’s real estate policy. Land auction prices in 40 major cities dropped for the fifth month straight in August, the lowest in 39 months, according to the Economic Information Daily. After years of rapid growth and scale, China’s real estate is seeing a transformation of sorts. Recent Chinese government measures have involved a curbing of the home pre-sale system. A proposal to scrap the system is likely to shake up the housing market, as the pre-sale system arguably services funding for developers while increasing uncertainties for buyers. In July, the central government announced it was time to address issues in the real estate market, creating a process to build a long-term mechanism to ensure the stable development of the industry. Chinese central and provincial governments have been implementing measures over the past few years to stabilize the real estate market. 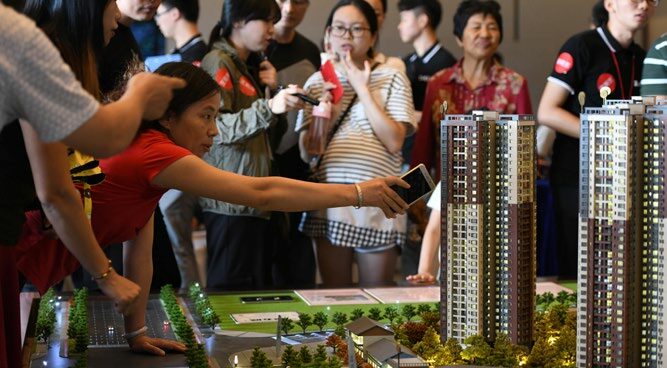 Earlier this year, one real estate company in Sichuan put 400 apartments on the market – 10,000 people registered as potential buyers on the first day of sales. Ultimately, 44,000 people competed for 400 apartments. Similar scenarios have echoed across many other cities in China. On July 31, the central government announced that it would curb housing prices and have placed measures to control the credit loan system. In September, the Beijing government announced that anyone who wanted to apply for a Provident Fund mortgage, which has interest rates lower than at banks, would only be able to take loans of 100,000 yuan for every year they have been employed. To take out a loan on a 40-square-meter apartment valued at 1.2 million yuan would mean that a potential apartment buyer would need to work for at least 12 years. The story of Vanke is a story that must be told in tandem with the rapid urbanization of China. Since the early 1990s, millions of Chinese moved into cities, gained higher incomes that afforded them apartments and a higher standard of living. Yet, the astronomical prices of an average apartment in China’s major cities today has meant that for many, owning their own home has become unattainable. Living to pay off a mortgage led to many Chinese referring to themselves as : 房奴, house slaves – a term suggesting that they have become slaves to their own homes, due to mortgage repayments. For Chinese property developers, “golden” September is usually the high season for property sales. Yet this year, survival is paramount, as developers struggle for equilibrium amid a downturn in China’s real estate market and an intensifying trade war with the United States. 1,Chen Qingqing, Global Times “Crisis awareness reflects housing market game changer”.